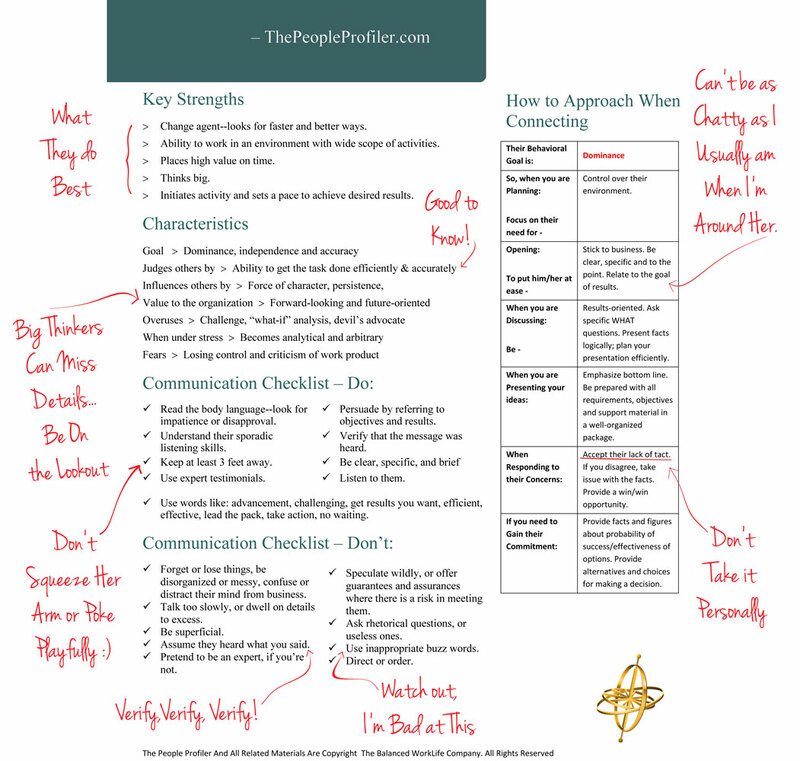 People Profiler gives you guidance on how the person prefers to plan, open conversations, discuss, present ideas, and more. 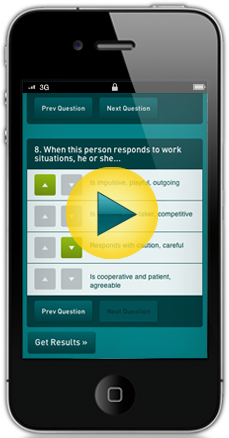 Understand Someone Better In 60 Seconds: Simply answer 8 questions about a person and you're done! Simple and fast. Working or talking with people you just met isn't easy. People Profiler gives you a bigger picture into any one you've barely met.